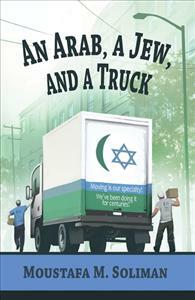 Can a moving truck carry hope and bring peace to the Middle East. Story of a religious odd couple forced by circumstances to live together but become friends and business partners by choice. An exciting plot full of intrigue, romance and unforgettable characters. It didn't happen in the land of Canaan, but rather in the Bronx. This is a story of a religious odd couple forced by circumstances to live together but become friends and business partners by choice. Ali, a devout Palestinian Muslim and David, an American Orthodox Jew, learn to share a kosher kitchen and recognize the similarities between them. Their business opens a window to ethnic, religious, and political ironies. The emergence of a mystical character leaves the reader wondering whether the Bronx could be the place where the children of Abraham might begin a process of peace and reconciliation. A book for every age and lesson for every culture. I often read scholarly books on the Middle East, but the tongue in cheek title of this book was irresistible. After finishing the book something very strange happened. I missed the characters. The story was fanciful and that is exactly what i needed and our ailing world needs a dose of. It's a gift I will pass on to my friends and family. If there were more people in the Middle East (Moslems, Jews and Christians ) like the author the words war and conflict would be eradicated. Loved it. Waiting for next installment.